Autumn means Thanksgiving is around the corner and there's so much to be grateful for! Today, Aneta Matuszewska has the most incredible Thank You card in honor of this time of gratitude. 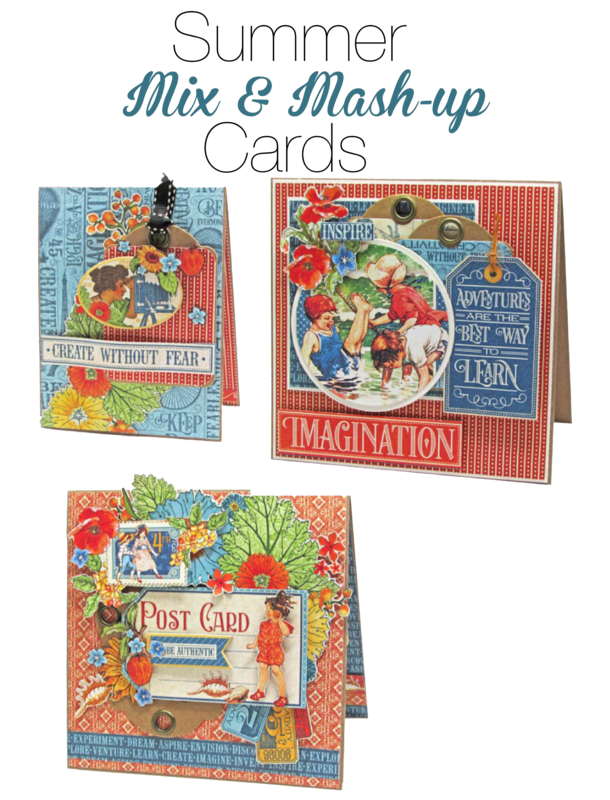 It's cardmaking perfection! 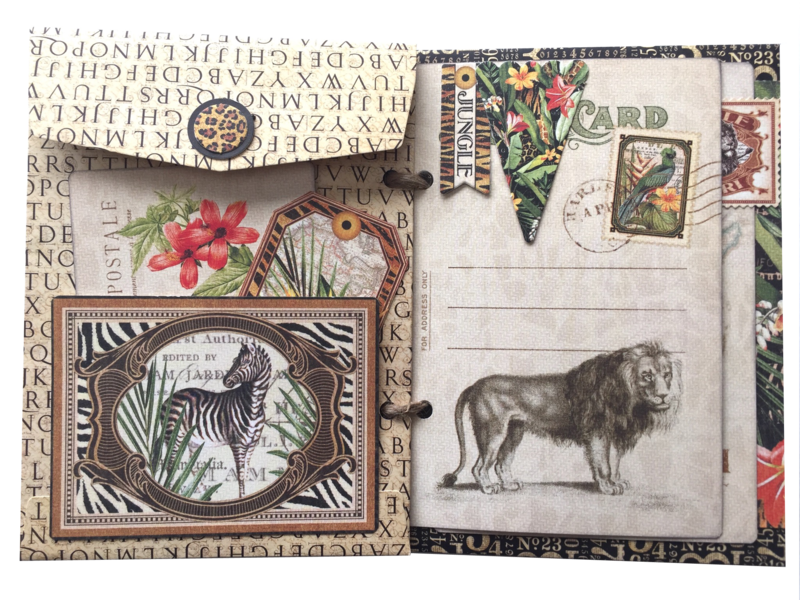 Aneta has a great tutorial below so you can also try this beautiful card. 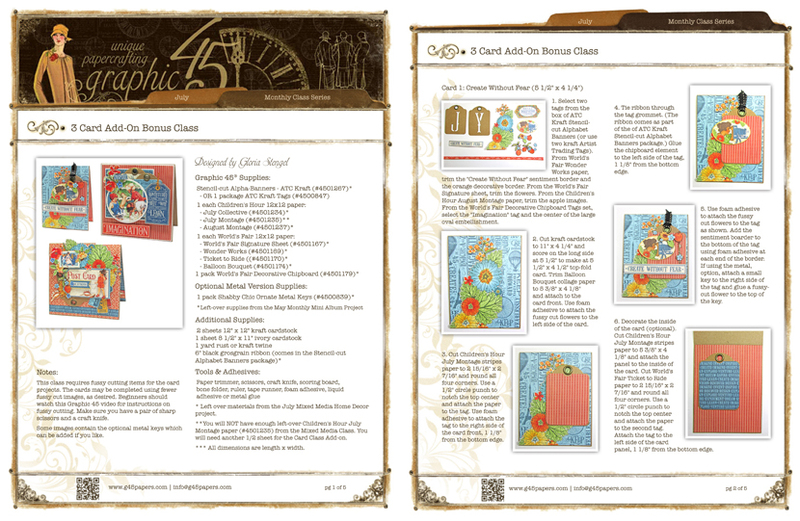 Tip 1: USING EMBOSSING PASTE FROM "DREAMWEAVER" WILL GIVE YOU MORE LIGHT 3D EFFECT THAN A REGULAR STRUCTURE PASTE. Tip 3: MAKE YOUR OWN, MATCHING FLOWERS BY USING G45 PAPERS AND ANY KIND OF FLOWERS DIE. 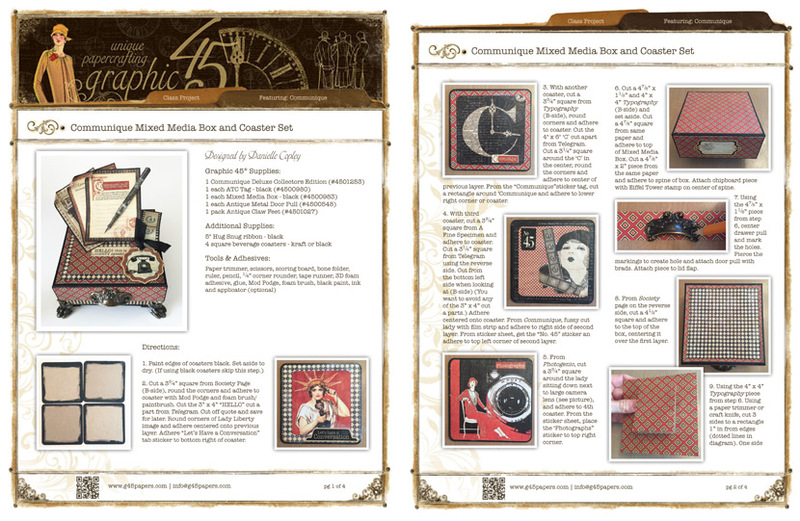 Media Embossing Paste from "Dreamweaver "
We also have a very special project sheet for you today, G45ers! Today at 11 AM PST, Charee will be teaching this great tutorial in a live Facebook video in honor of our 100,000 Facebook Likes celebration. You will definitely want to join on our Facebook page! We will also be giving away 3 of these kits so 3 lucky winners can make them as well. Here is the downloadable printable for everyone to have right here! How fun! This week we are giving away a $60 prize pack! 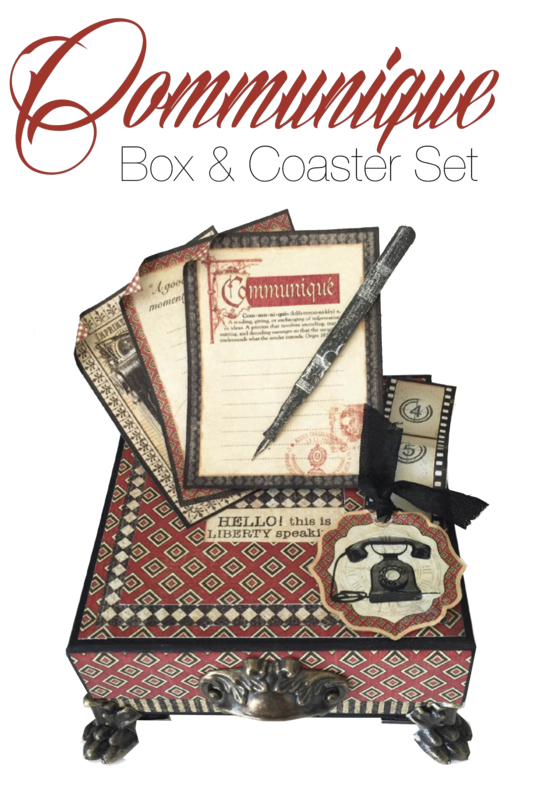 This pack is full of our Deluxe Collector's Edition, Communique! Then, we have an amazing set of Staples with this project as well. Love this so much! All you have to do to enter is comment here on the blog or on our Facebook page to take part! Thank you for joining for all the fun on the blog today. Tutorials, project sheets, autumn celebrations, and gratitude - that's what we call a good day! Bright and Beautiful Graphic 45 Cards! 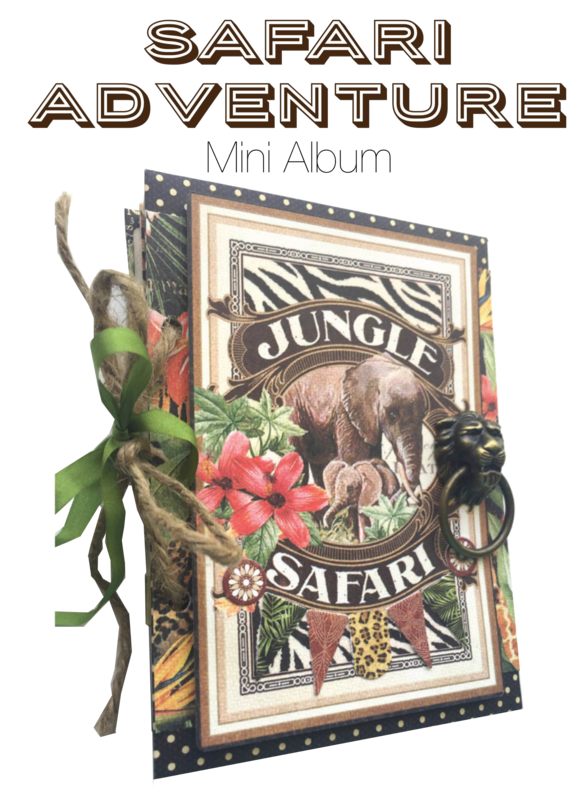 Do you love Safari Adventure? You can create with it for free! 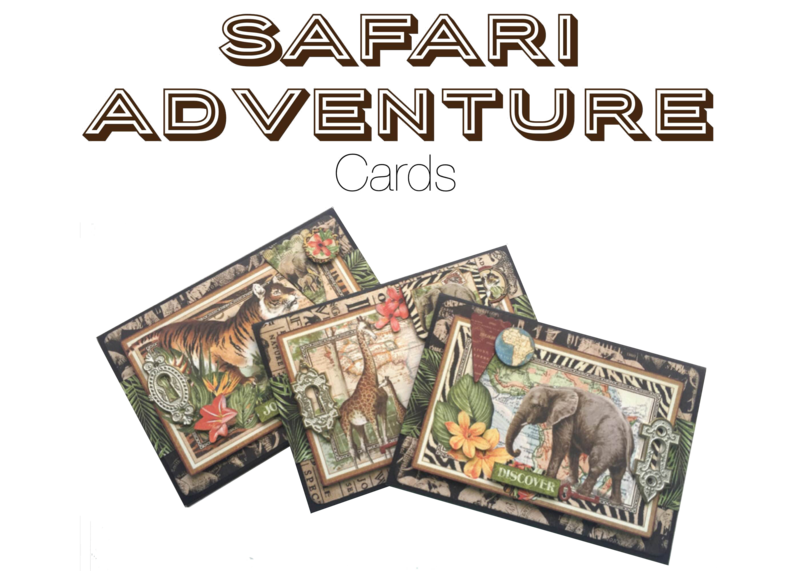 This is great for your vacation photos, travel photos, and the cards are great for every occasion. Enjoy these free project sheets! Entertain your guests in style with this fun and useful coaster set. 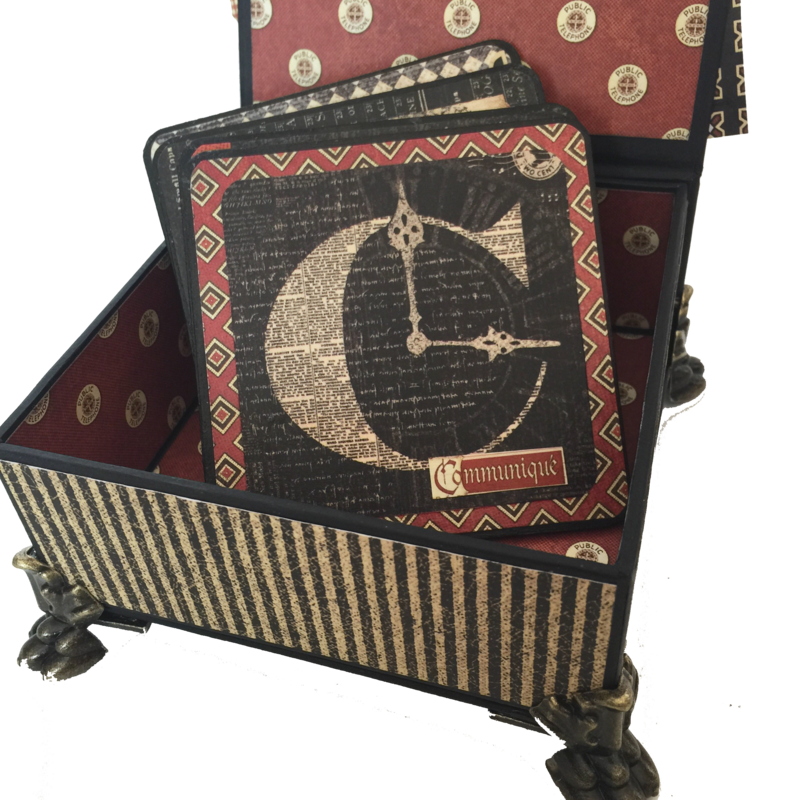 The coaster set has a matching interactive box to store your coasters when not in use. You will love using your coaster set for years to come! For another fun idea: These make great gifts, and with the holidays just around the corner, we've got your back. Congratulations, Elizabeth! Please email joanna@g45papers.com to claim your prize. Thanks for taking part this week, G45ers! 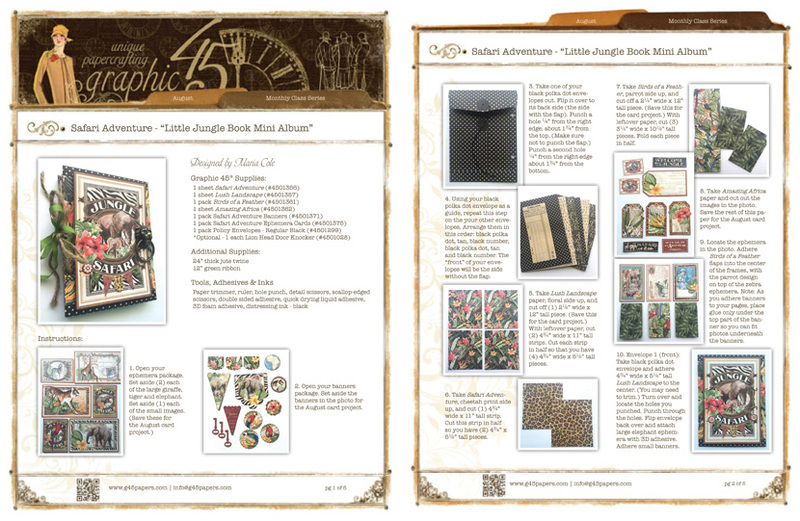 Hope you enjoy trying this project sheet! Enjoy making this gorgeous project. We have an amazing project sheet for this fabulous project! 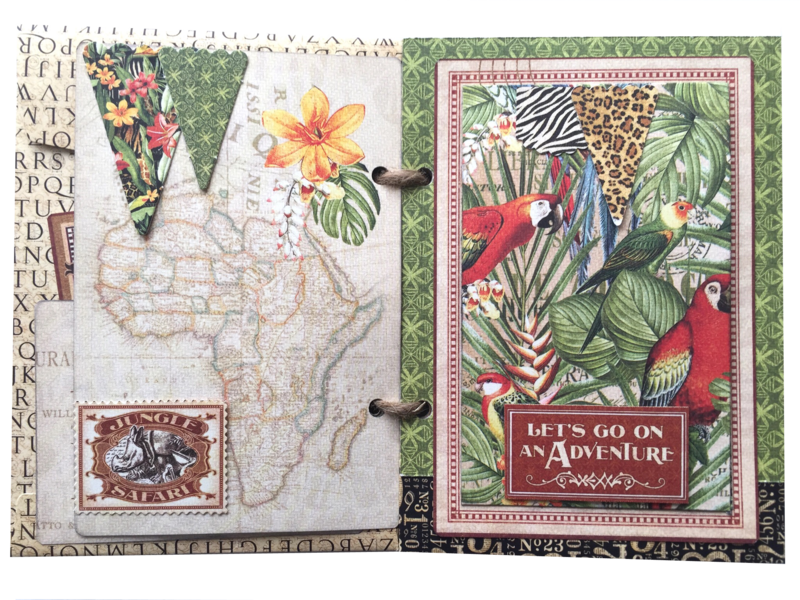 This project sheet will teach you how to make this gorgeous Mixed Media Album from start to finish and is by the incredible Annette Green! We are so excited to share this exclusive tutorial with you today. So many glorious pages for each month of the year! Wow! We're coming up on October, so this page is perfect to keep those photos! We hope you try this great project sheet out! -Linda Storey: So cute! Love the paper as curled ribbon,sweet. Congratulations, Linda! Please email joanna@g45papers.com to claim your prize pictured below. Thanks to everyone who took part! Thanks for joining us for this exclusive project sheet. We're so excited to share it with you! Have a wonderful weekend - perhaps this inspired your weekend project! 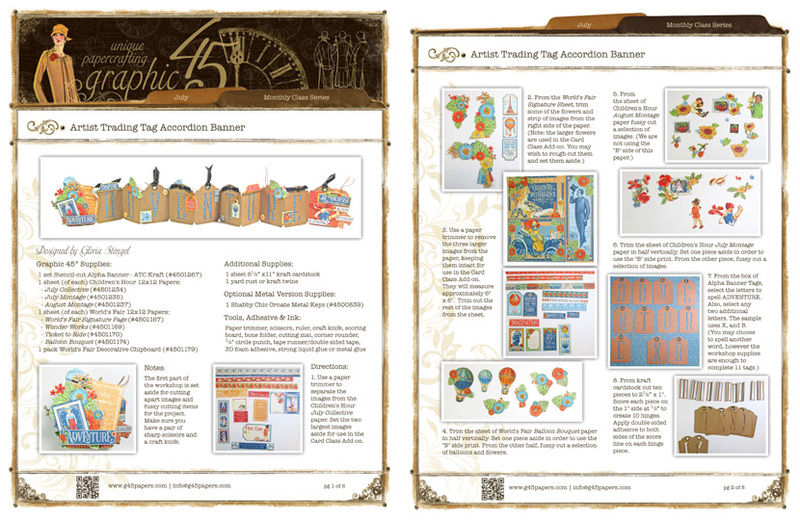 Get inspired with World's Fair and Children's Hour and our Alpha Banner Staples for a Summer Mix and Mashup. 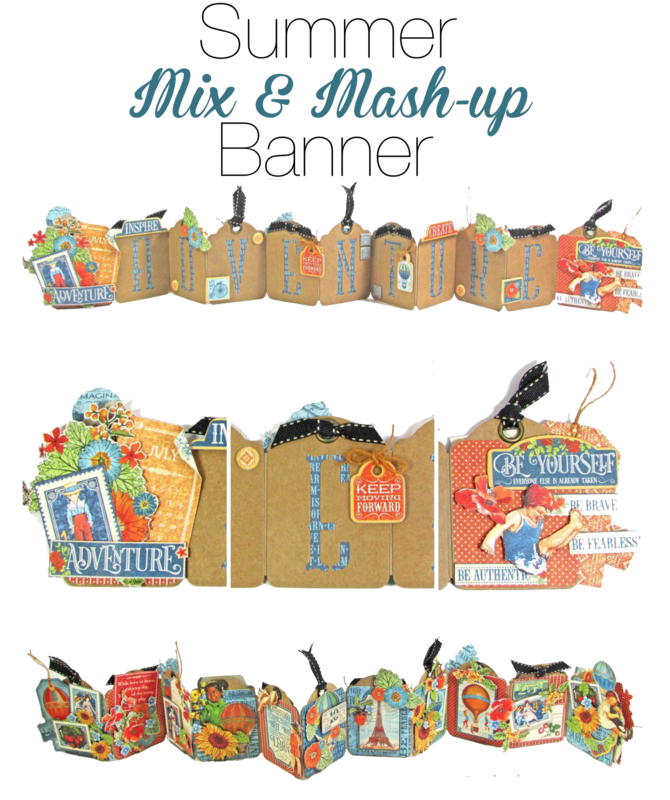 This idea is perfect for a mantle piece, a kid's bedroom, or a special going away party. The possibilities are endless! It's always a good time for an ADVENTURE! 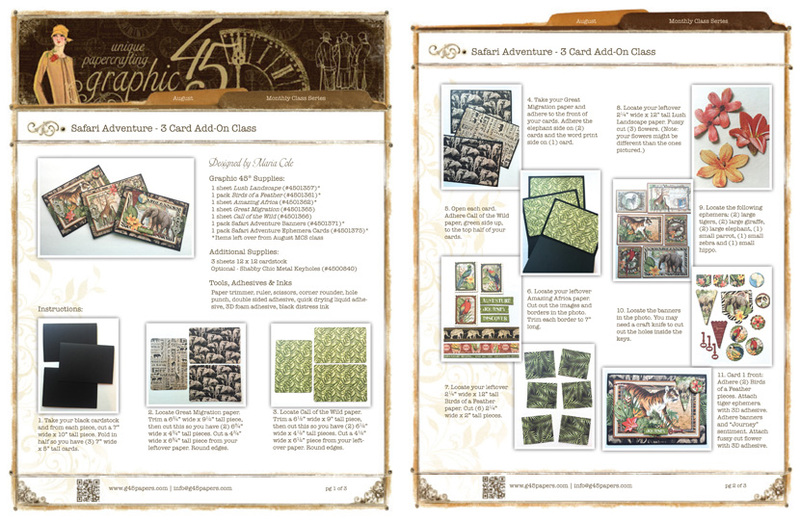 Want some fussy cutting tips for these project sheets? Check out this great video from Nichola Battilana! More Inspiration with our Sneak Peeked Collections! 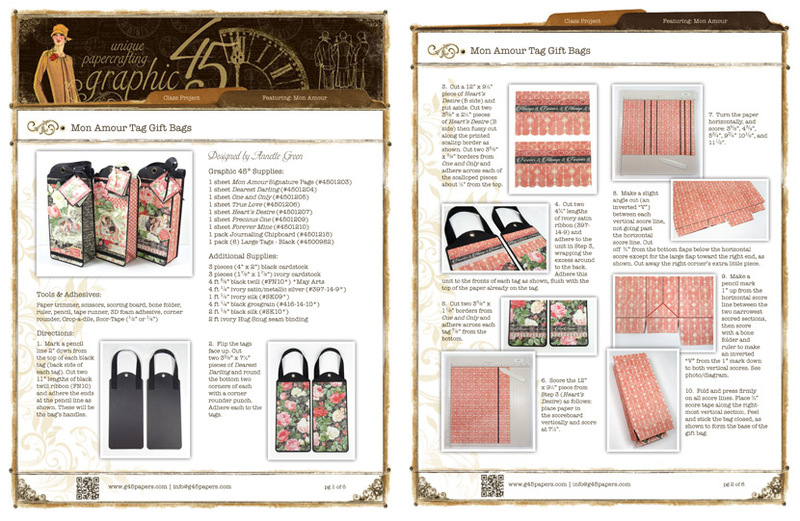 Graphic 45 Goes Back to School!